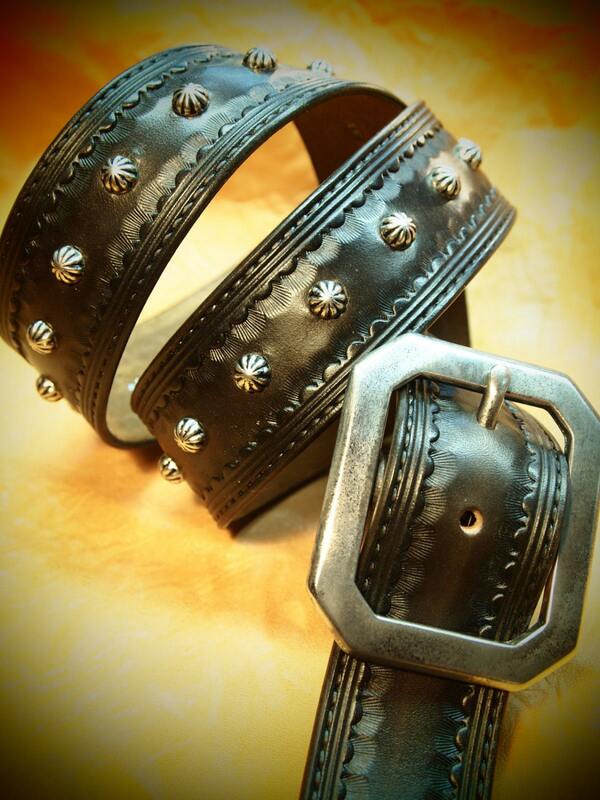 Black Leather studded Belt and Wallet chain : Hand Tooled Vintage style! Custom made in NewYork! 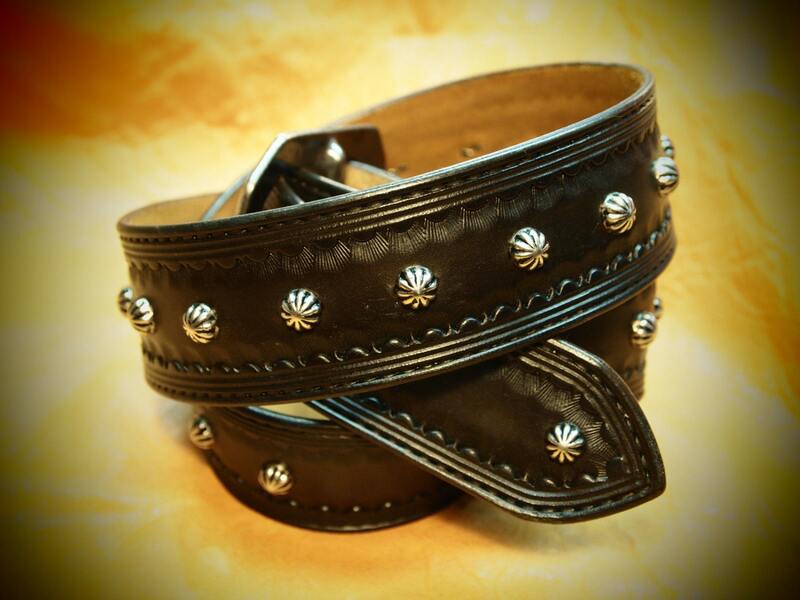 This Black leather belt and wallet chain set is made using natural vegetable tanned leather. 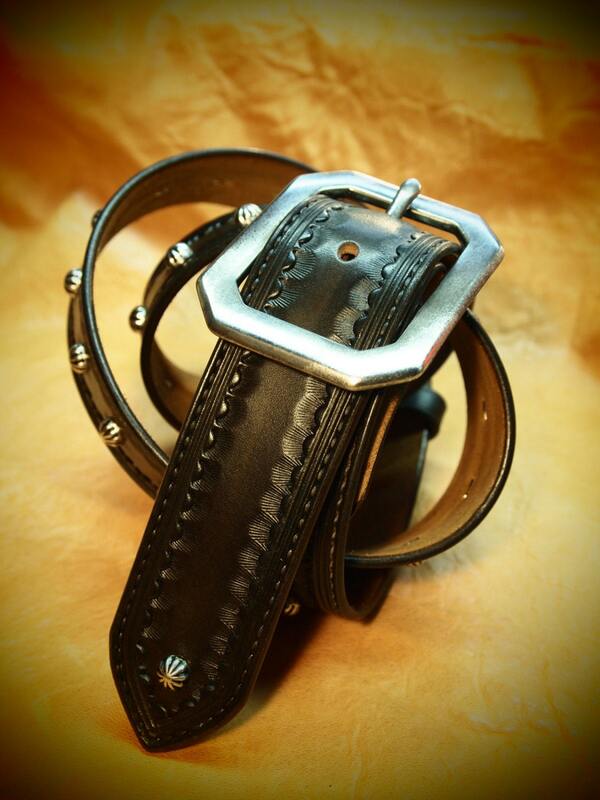 It is hand tooled with a traditional Old West border and dyed black. Edges are hand beveled, hand slicked and lightly hand distressed. Hand set spots run the center and finally I hand rub the belt with special waxes to produce a vintage finish. The clipped corner buckle is hand-distressed and can be worn with your own buckle as the belt uses 2 hand distressed snaps to attach. Amazing! Super speedy shipping, and gorgeous workmanship on a top quality belt/buckle. Thank you! !